We at Hometown Buick have the goal to support you with – at least – all basic 1950 Buick literature. To reach this goal, we’ve digitalized the most popular or helpful guides, flyers and books that make you as owner happier! The owners literature which was provided to original 50 Buick owners can also be found here as well as original repair manuals that make the maintenance of your classic car much easier. 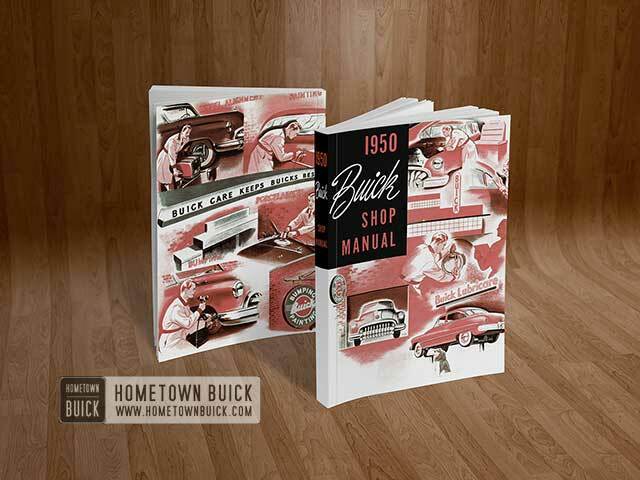 The shop manuals can also help you to understand your 1950 Buick better or tune it back to original factory specifications. If you want to see more 1950 Buick literature pieces or a particular here, please let us know! The 1950 Buick Owners Guide is compiled by the Buick Engineering and Service Departments to assist you as 1950 Buick Owners in obtaining the utmost pleasure and satisfaction from your 1950 Buick. "It is urged that 1950 Buick Owners closely follow the instructions and recommendations", wrote Buick at the beginning in this 1950 Buick Literature item. 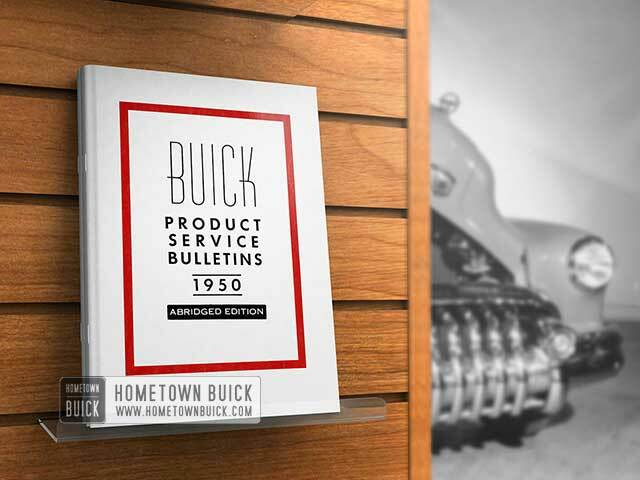 The 1950 Buick Product Service Bulletins was published to help garages, shops and owners to repair and maintain 1950 Buicks. 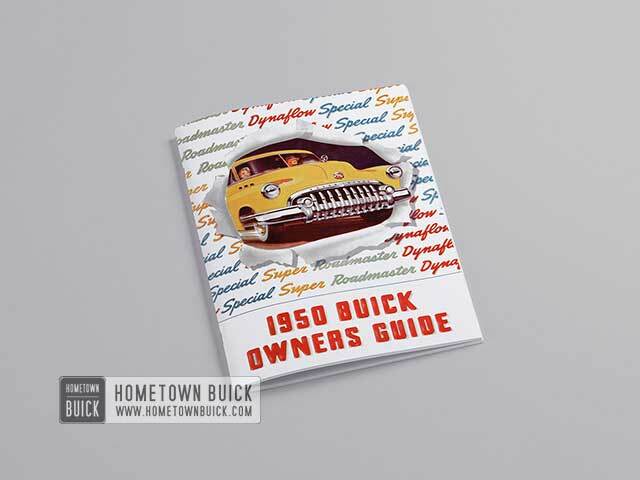 Read more about 1950 Buick Lubricare, Engine, Engine Fuel and Exhaust Systems, Clutch & Transmission, Rear Axle, Chassis Suspension, Steering Gear, Brake, Frame, Electrical Systems, Radio and Accessories, Chassis Sheet Metal & 50 Buick Body! 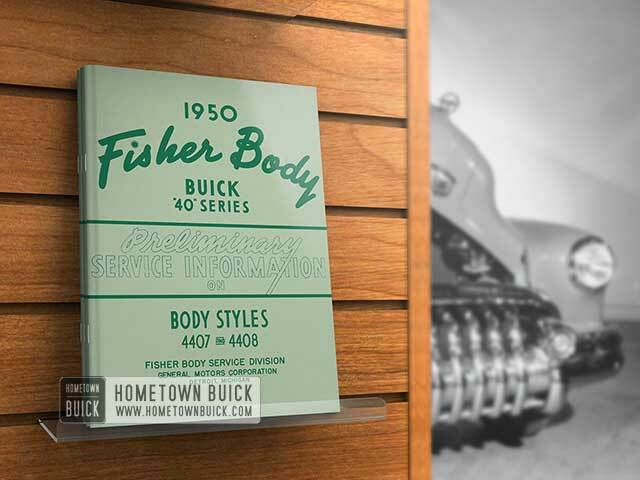 The 1950 Buick Fisher Body Manual for Series 40 outlines in detail, advanced preliminary service information on the Fisher "07" and "08" style bodies as used on the "40" series Buick for the year 1950. This manual deals with removal, installation and adjustment of glass trim and hardware parts.Aside from the new design of the body, many new changes also have taken place in the design and installation of hardware ports such as door handles, door locks, hinges, door checks, door ventilators, rear comportment locks, handles and hinges, adjustable seats and front seat cushion springs (zig-zag).In order that service personnel may have a better understanding of the operation and installation of these various hardware parts at the same time the new 1950 car models are introduced, this 1950 Buick Literature was presented to Buick Dealers and Mechanics.